The study of Church History is important for students of Theology and for all other interested Christians. 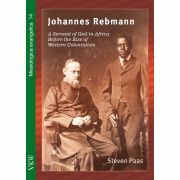 This book helps to understand the characteristics and the aims of Church History. It deals with the sources of knowledge of historical events, and with the sciences and tools that assist to discover them. Those who want to write theses or papers will be particularly interested in the chapters on the process of historical research, on the ways of communicating results of research, and on the presentation or organisation of scholarly publications. Special attention is given to the researching and communicating of Church History in an African context.